Overall a relative slow week in breaches, but not in the severity of the breaches! A cyber-attack conducted against a small business hosting provider in Australia also highlights a “WORST case” scenario for a breach. I strongly encourage everyone to check out their website here for a sobering reminder of what a company crippled by a breach looks like. When you cannot contact your customers to tell them that you have been breached, because you don’t even have a complete list of who your customers are… well, this is a good example of how damaging a breach can be. Meanwhile global company, Google has been allowing third parties to read through people’s Gmail inboxes, according to a report by the Wall Street Journal. While the creator of Gmail has promised to stop scanning emails on their platform to curate ads, the organization has been allowing third parties to access inboxes if the user has opted into email-based tools like travel itinerary planners. These third parties are not just using AI to snoop through messages either…oftentimes employees of the organization go digging for information themselves. Australia – Cyanweb Solutions –Digital marketing and web provider based in Perth. Customers Impacted: 435 accounts. Only 12% of customer data survived the attack. United States – ALERRT – A federally funded active shooter training centre for law enforcement. UK – National Health Service – The public health services in the United Kingdom. 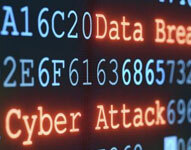 Risk to Exploited Individuals: High: The data was exposed externally and picked up by hackers. Customers Impacted: 150,000 patient details. Do you know if your business has had a data leakage?